At least 73 fires have broken out across Scotland since May 1, 2011, reported the BBC. 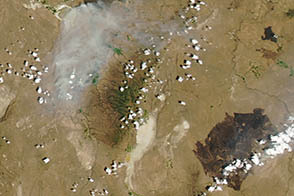 This image, taken by the Moderate Resolution Imaging Spectroradiometer (MODIS) on NASA’s Terra satellite, shows one of the larger fires on May 2. The fire, which is outlined in red, was burning near Loch Assynt and the community of Inverkirkaig. Smoke from the fire is blowing west over the Minch and the Isle of Lewis. Dry, windy conditions stoked the fires in both Scotland and Ireland. 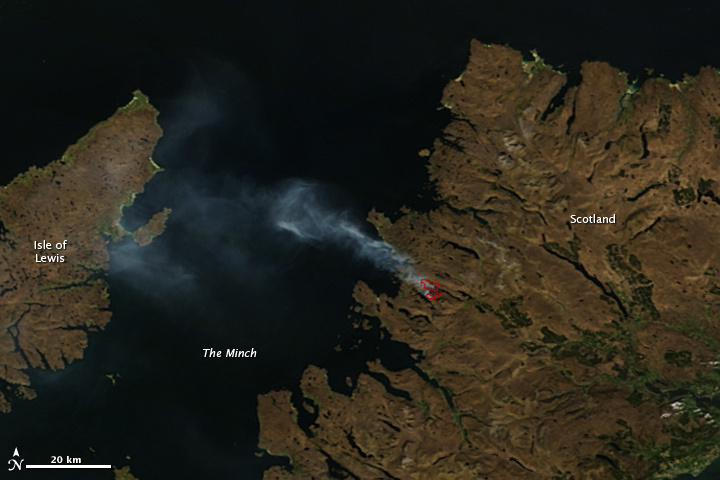 This true-color image shows a large fire burning on the western coast of Scotland. 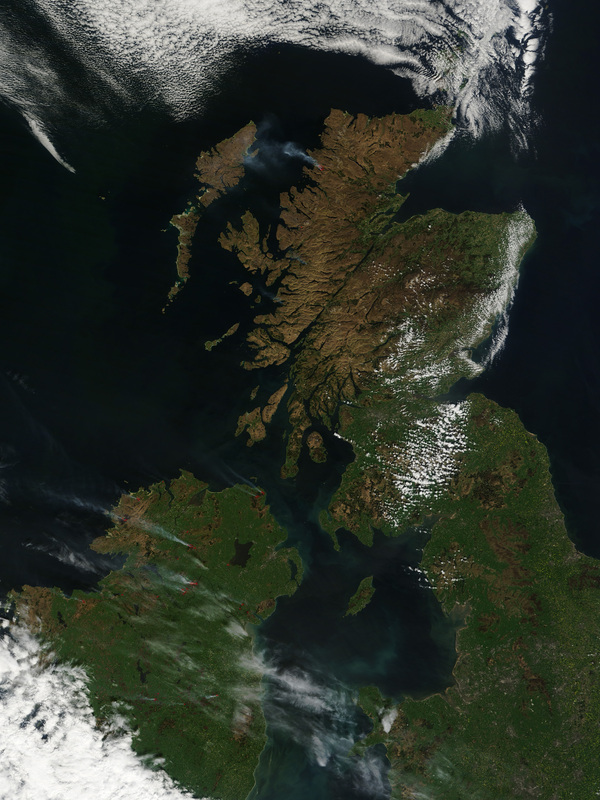 Hot, dry weather fueled numerous wildfires in Ireland and Scotland in early May 2011. BBC. (2011, May 5). Wild fire land in north and isles covers ‘10 Hampdens.’ Accessed May 5, 2011.